Waste incineration in cement kilns has been put on the spot once more as one of the biggest obstacles to zero waste solutions and a major source of pollution with severe impacts on the environment and public health, this time at the European Gathering Against Waste incineration in Cement Kilns (see programme) that took place the last 8-9 November in Barletta, Italy. The event had an enormous success of participation, with more than 200 people attending the talks given by community leaders, NGOs, waste experts, and policy-makers on the various issues surrounding waste incineration in cement kilns and the main solutions around zero waste alternatives. It received extensive press coverage in local newspapers and television (see below for press clipping) and all of the organizers, including Movimiento Legge Rifiuti Zero Puglia, Zero Waste Italy, Zero Waste Europe and GAIA – Global Alliance for Incinerator Alternatives, celebrated its outcomes. Precisely, the gathering was a chance to strategize and plan further coordination at the European level amongst the various groups working on this front and resulted in the elaboration of a manifesto that will be made public in the coming days. ‘Waste incineration in cement kilns is the biggest obstacle to zero waste’ said Paul Connett, professor emeritus at St. Lawrence University in New York in his keynote speech. Connett argued that waste incineration in cement kilns is not sustainable, neither saves as much energy as reuse and recycling do. In fact, this industrial practice releases toxic emissions into the air containing mercury, lead, cadmium and thallium, and other heavy metals and Persistent Organic Pollutants. Moreover, cement plants usually reintroduce the fly ash and the bottom ash resulting from the combustion process back into the cement, which basically makes buildings constructed with this cement highly toxic and threatening for people and the environment. Professor Paul Connett has given more than 250 speeches all over Italy promoting a zero waste vision. 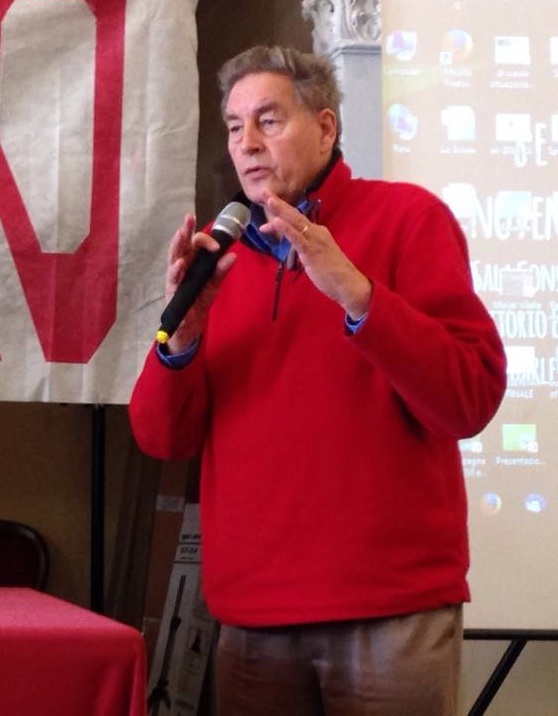 Regarding public protection from toxic emissions, Profesor Connett pointed that even if there were strong regulations, adequate monitoring and consistent enforcement, there would no way to control nanoparticles of dioxins, furans or toxic metals that result from waste incineration in cement kilns or any other combustion plant. Air pollution control devices do not efficiently capture nanoparticles, which can travel long distances, remain suspended for long periods of time and penetrate deep into the lungs, as referenced in scientific literature such as this and this. 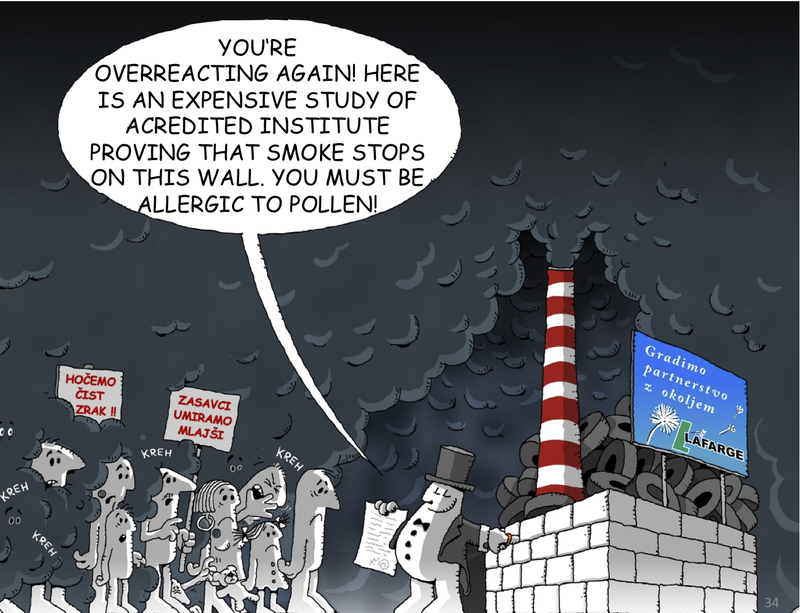 “I am opposed to waste incineration in purpose-built facilities, but when you burn the waste in cement kilns you are taking it out of the hands of professionals and giving it to amateurs!, concluded Prof. Connett in reference to the increased interest of the cement industry to provide waste disposal services to municipalities and become actual incinerators. Agostino di Ciaula, representative of the International Society of Doctors for the Environment for Puglia, also reinforced the idea that cement plants may be even more inadequate than conventional incinerators to burn waste. When analyzing the emissions coming from a cement plant, di Ciaula concluded: “the pollutant emissions from cement-incinerators are much higher and would be illegal if they were coming from incinerator!”. Di Ciaula also reported a number of scientific studies about impacts on public health from toxic emissions, particularly regarding impacts of NOx emissions (here, here and here), PCBs compounds (various studies: here, here, here, here, here), and the increased effects on children (here), and reminded that PCBs are not systematically monitored neither regulated. Interestingly, di Ciula also warned about the misleading influence of industry over scientific research. For example, while the main researchers from the Laboratory of Toxicology and Environmental of the Rovira i Virgili University (URV) have published several reports denying any potential harm from incineration, this institute shows close connections with cement and incineration industry based in their same Catalan region, as described in their own website. In fact, Uniland Cementera S.A., one of the cement companies that are partnering with this research centre, has been seeking permission to burn used tires in one of its plants in Catalonia, which has been fiercely opposed by the local community. Undoubtedly, one of the high points of the event was the opportunity to hear the testimonies of several communities from Italy and around Europe that are facing waste incineration in cement kilns at their doorstep as well as engaging in transforming their local waste management systems to aim at zero waste. In the first place, Sabrina Salerno from Movimiento Legge Rifiuti Zero Puglia talked about the situation in the city of Barletta, where a cement plant very close to the town threatens to start burning 65.000 tons/day of waste. This is a shocking contradiction in a town that has recently implemented door-to-door collection to increase recycling rates and reduce residual waste. 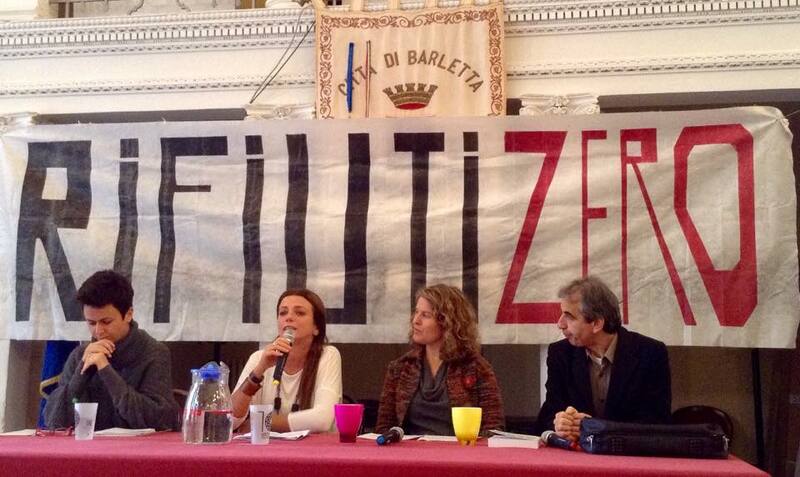 Amongst other actions, the Movimiento Legge Rifiuti Zero and Zero Waste Italy are promoting a petition to the European Parliament against the use of Refuse-Derived-Fuel as a clean source of energy. Other representatives from around Italy presented similar battles in Monselice (Veneto) where the local cement plant has been called into question at the European Parliament for intolerable toxic emissions, Gubbio (Umbria) where local opposition has been successfully preventing waste incineration in the cement plant for many years. Other presentations refered to similar situations in Trapani (Sicily), Lazio (Rome) and Galatina (Puglia). The European presentations started with the Plataforma Anti-Incineració de Montcada i Reixach “Montcada Aire Net” which are leading the campaign against the Lafarge-owned cement plant in the outskirts of Barcelona. The speakers showed how the toxic dust from the plant accumulates in their homes and impacts public health, notably showing higher percentages of respiratory illnesses, premature puberty, and cancer in the area. This community has been leading the coordination of a national-wide network of communities againts waste incineration in cement kilns, which last year celebrated its fifth national gathering. 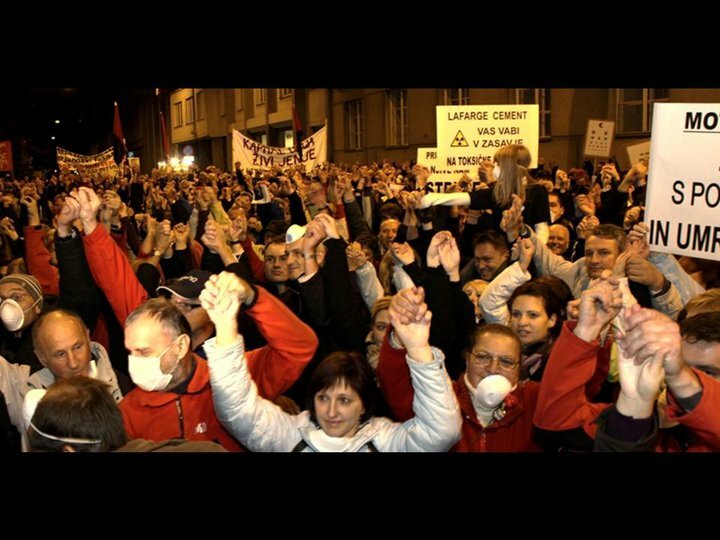 Demonstration against the Lafarge cement plant in Ljubjliana, Slovenia, in 2010. The collective Eko-Krog in Slovenia has also been protesting the potential incineration of waste in a Lafarge-owned plant in Trbovljefor the last ten years. Despite many victories along the way and wide popular support opposing this practice, the cement industry still intends to burn waste and the battle has started over many times over different permits and resolutions. 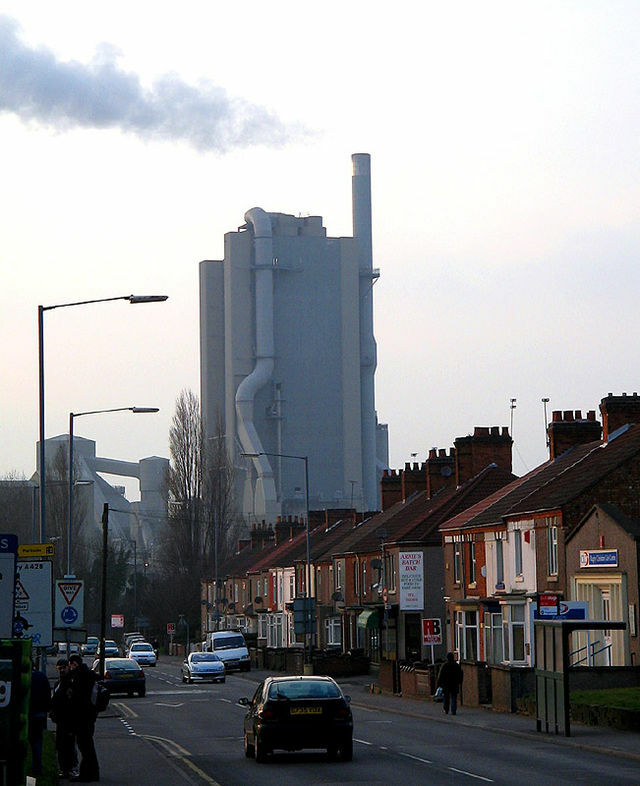 The CEMEX-owned cement plant in Rugby (UK). In the UK, Lillian Pallikaropoulos has been leading the campaign against the Cemex-owned cement plant in Rugby for the last ten years. The plant, placed just in town, burns waste and tires without appropriate regulatory and environmental permits. The case was brought up to the Court of Justice, which unfortunately failed in favour of the cement plant and charged Mrs Pallikaropoulos with the total cost of the legal proceedings. This was appealed at the European Court of Justice and is pending to be resettled. Serbia was also present with the NGO Egrin, based in Kosjerić, where waste the cement plants of Holcim and Lafarge have been burning waste since 2006. Branislav Despotov argued that cement plants are increasingly making its main profits by burning hazardous waste rather than producing cement, as shown in this paper. The way forward: connecting the local and the global level on a zero waste path. 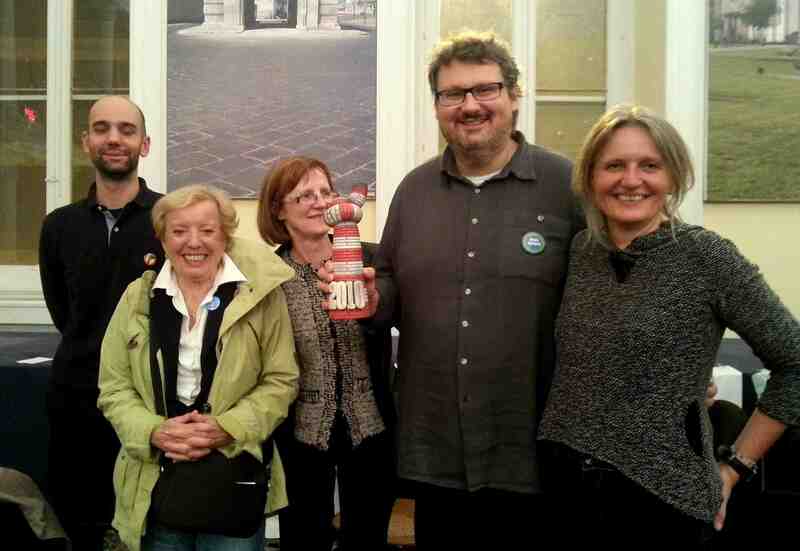 The Slovenian delegation included the organization Eko-Krog and Ecologists without Borders – Zero Waste Slovenia. Last but not least, one of the most exciting talks of the gathering was given by Erika Oblak, Zero Waste Slovenija coordinator with Ecologists Without Borders. The zero waste strategies in Slovenia have been moving forward with huge steps and culminating with the recent declaration of Ljubljana as the first Zero Waste EU capital, which was celebrated and inspired all the participants. Precisely, host speakers such as Rossano Ercoloni, ZWE’s President and founder of Zero Waste Italy reminded that a zero waste path should not include waste incineration activities, even less in a cement kiln. “We have alternatives to incineration that are proven and already working” stated Enzo Favoino, the ZWE Scientific Chair, who addressed what would do a zero waste strategy in dealing with residual waste. “In fact, we are at the #ageofdeccomissioning of incinerators, and we cannot allow waste to be promoted as ‘alternative fuel’ to fossil fuels”, concluded Mariel Vilella, ZWE Associate Director and also host to the meeting. “Now it’s time to coordinate our efforts at the local and global level, so that we make sure that our stories inspire and strength further all the other communities that are facing similar threats in Mexico, India, South Africa and all over the world”, she said. Everyone showed enthusiasm to celebrate another international gathering in 2015, so more activities and further planning shall be announced soon.